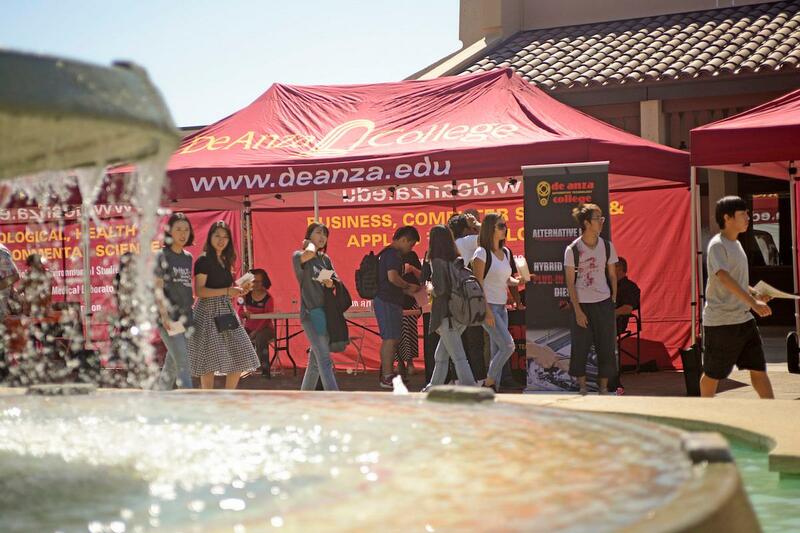 Welcome – or Welcome Back! 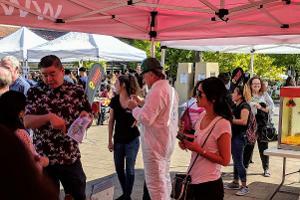 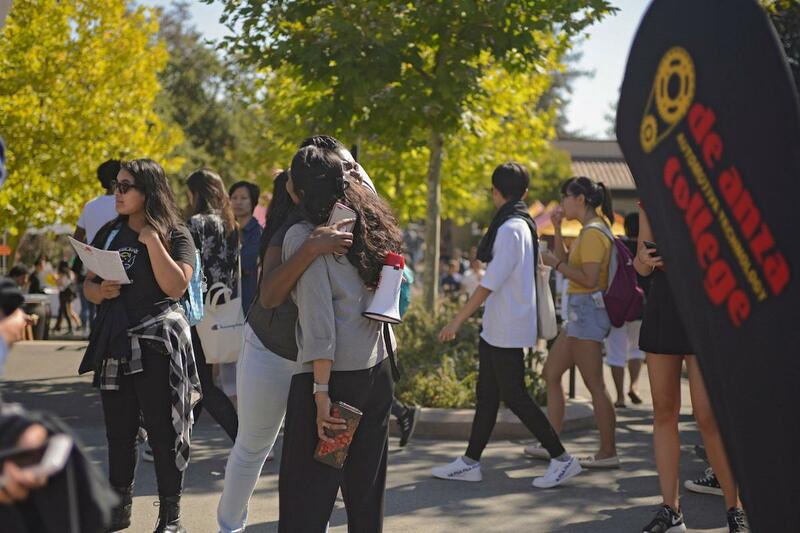 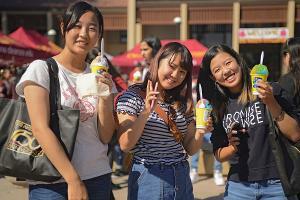 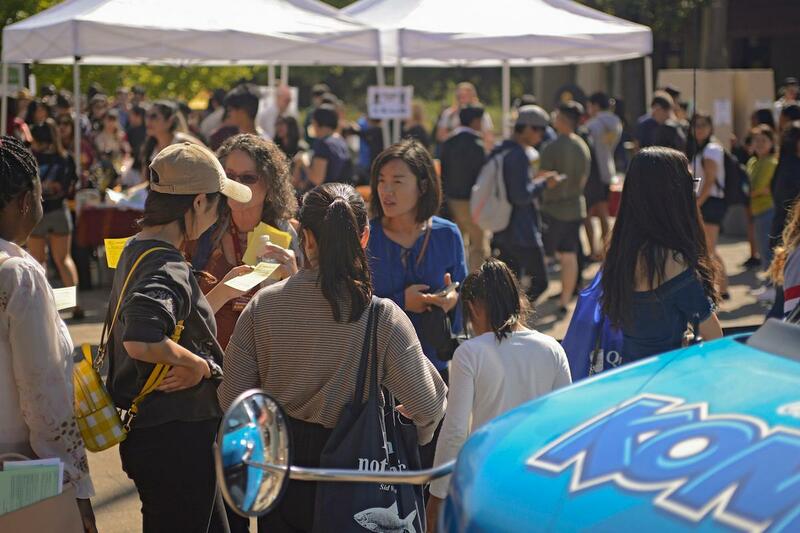 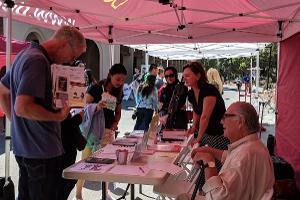 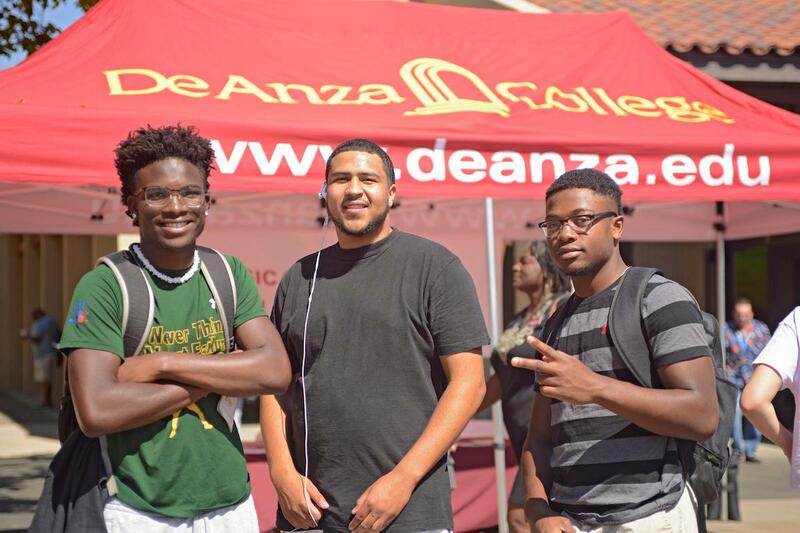 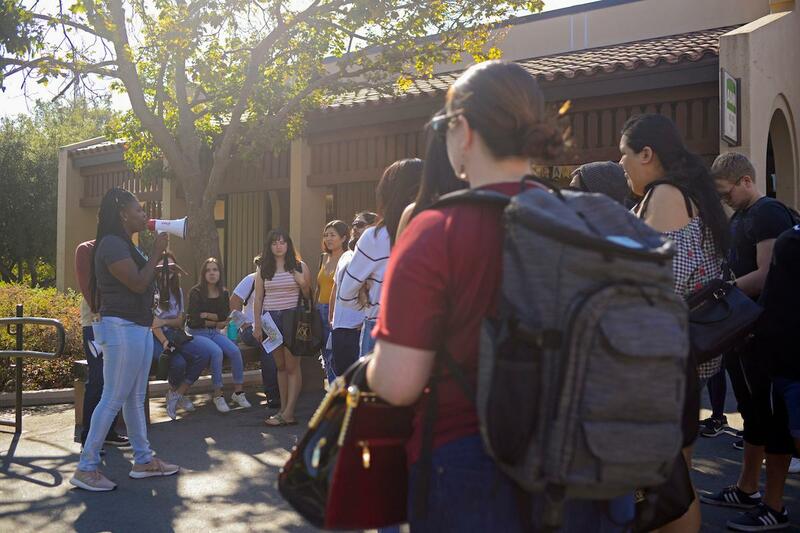 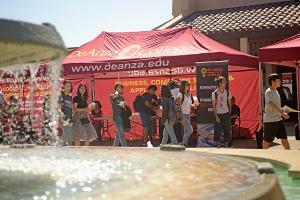 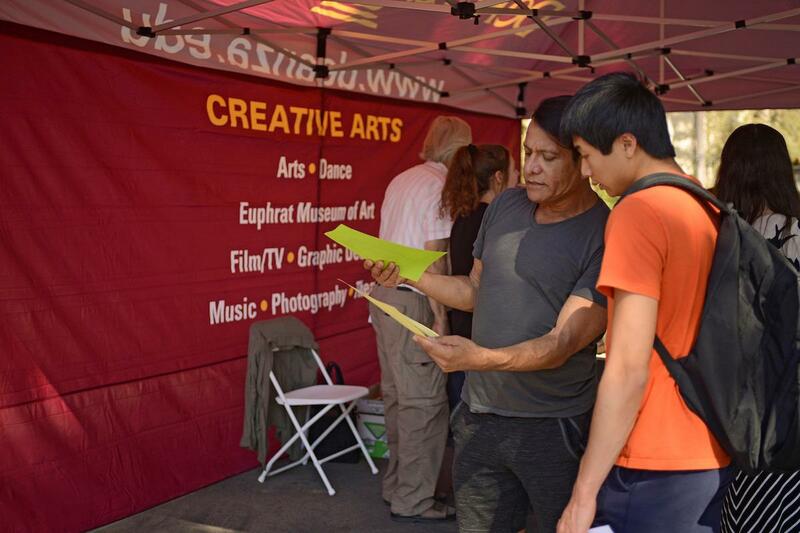 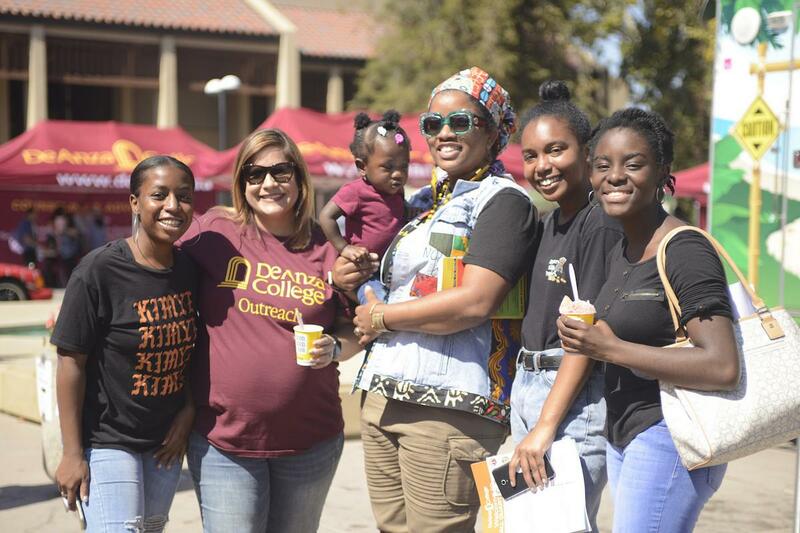 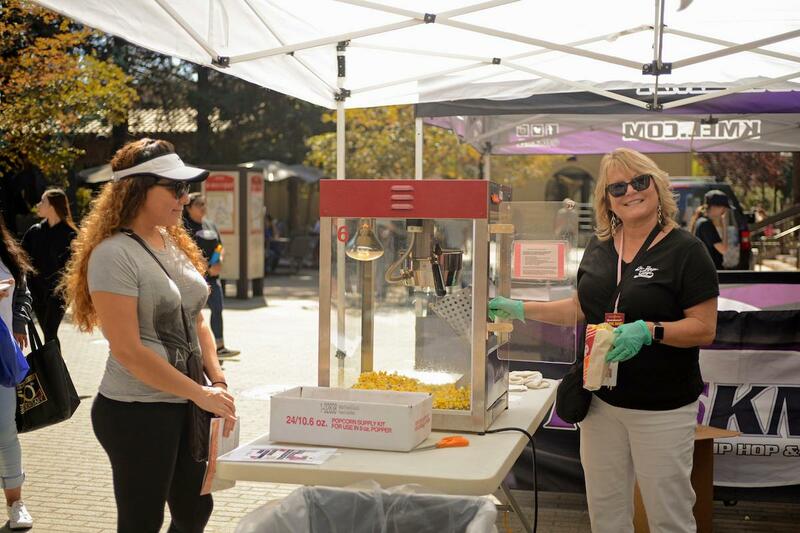 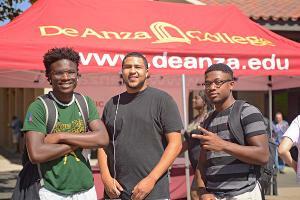 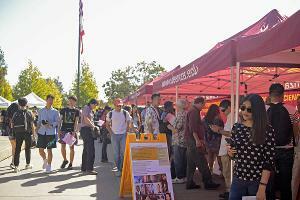 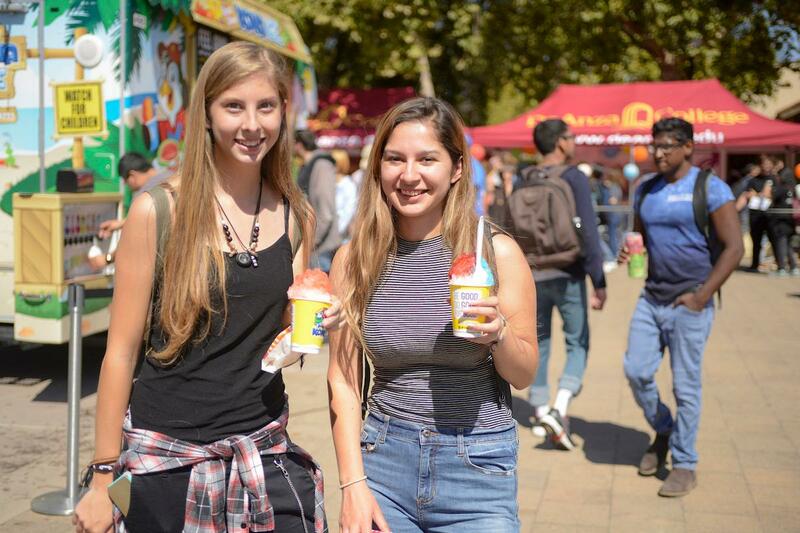 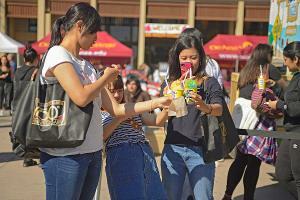 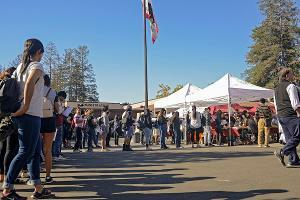 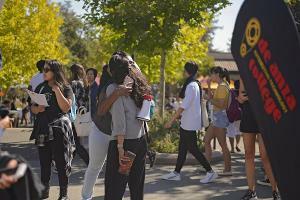 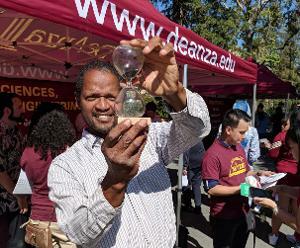 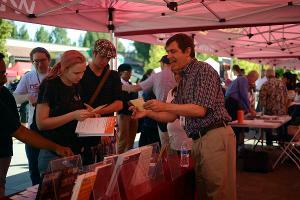 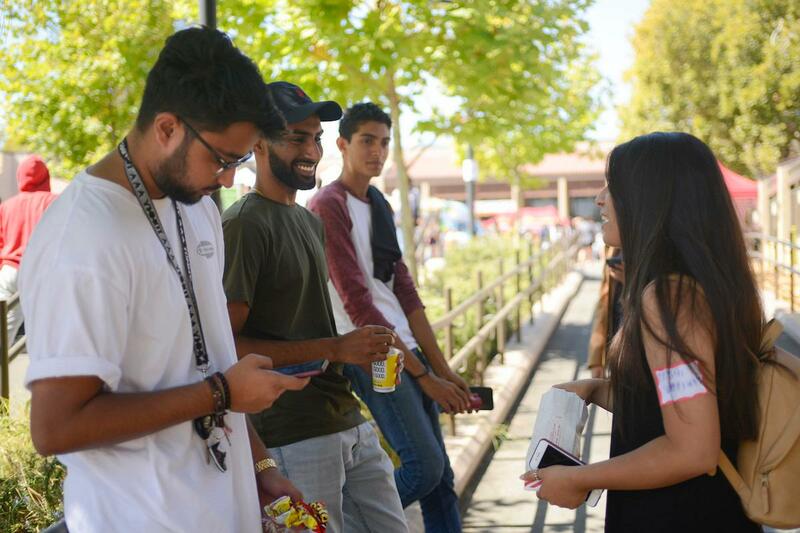 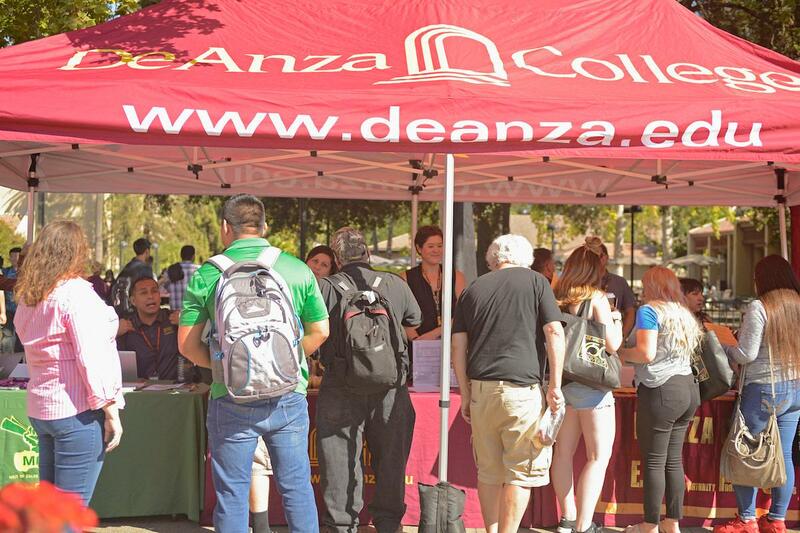 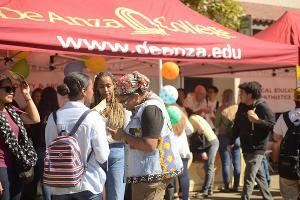 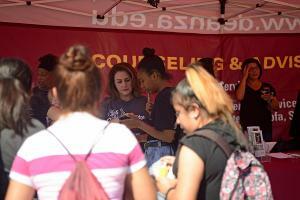 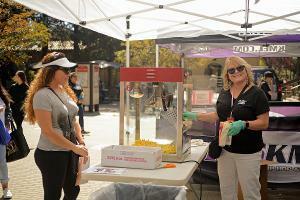 We had an amazing turnout for De Anza's first-ever Welcome Day event on Sept. 21. 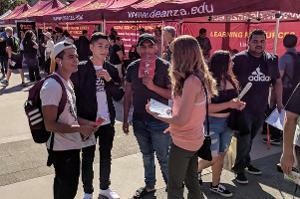 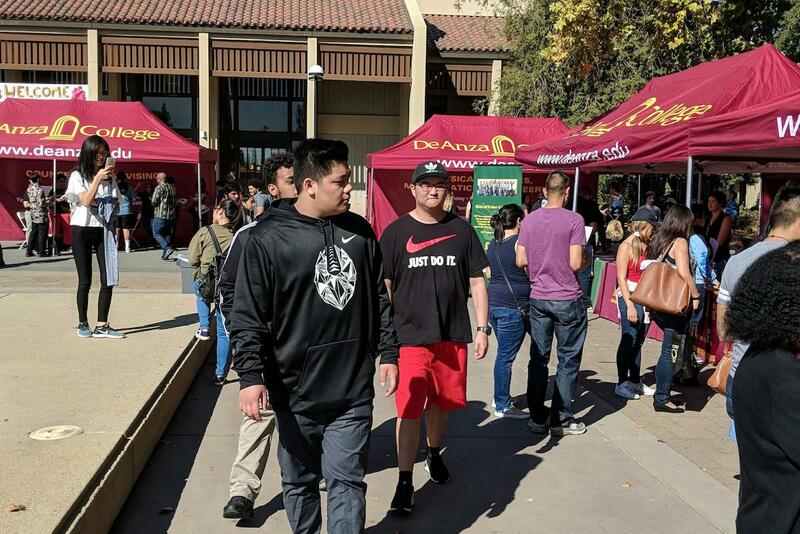 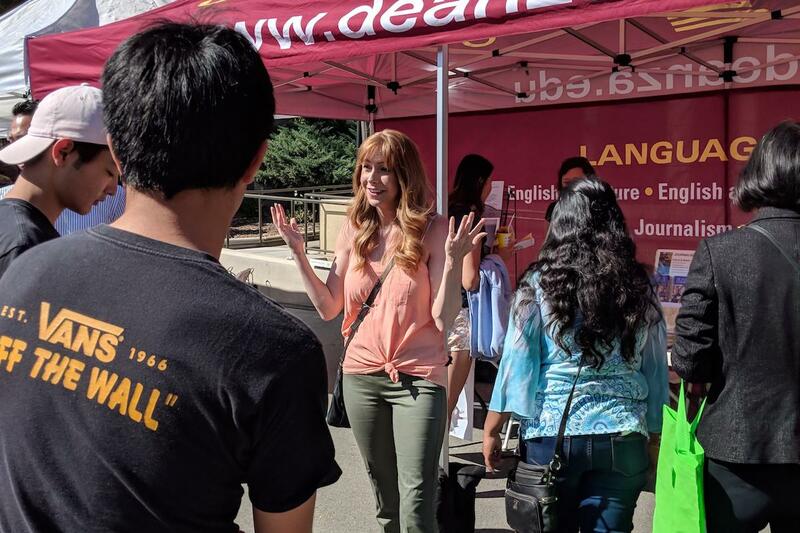 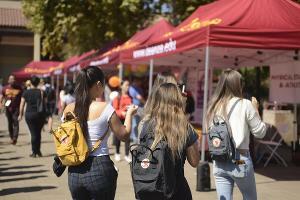 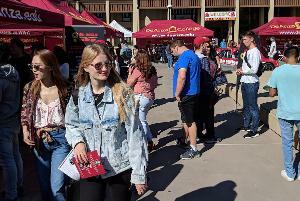 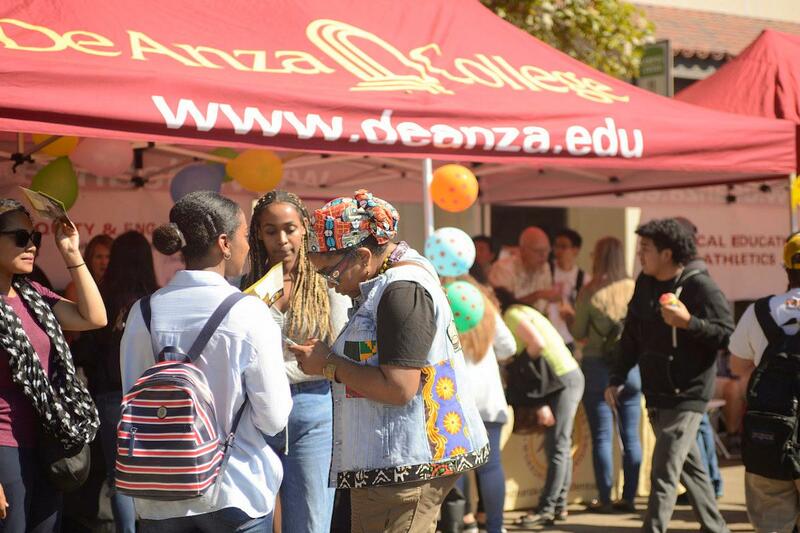 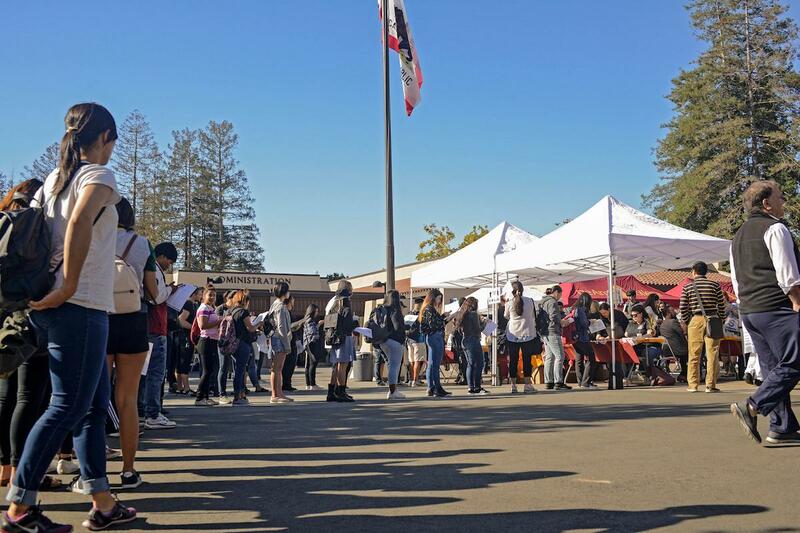 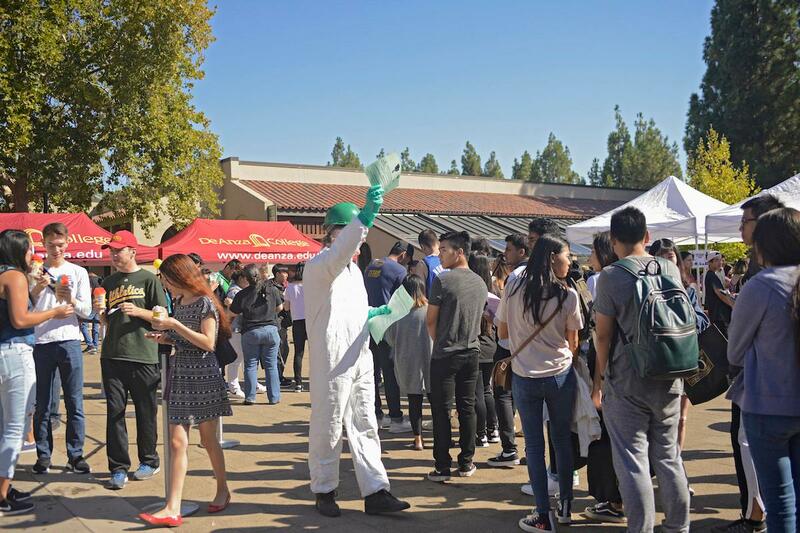 Nearly 1,000 students stopped by to meet their instructors, visit classrooms and learn about the great programs and services available at De Anza. 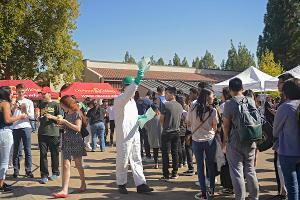 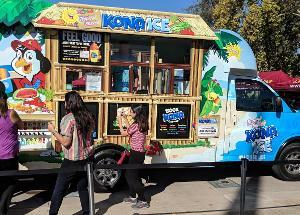 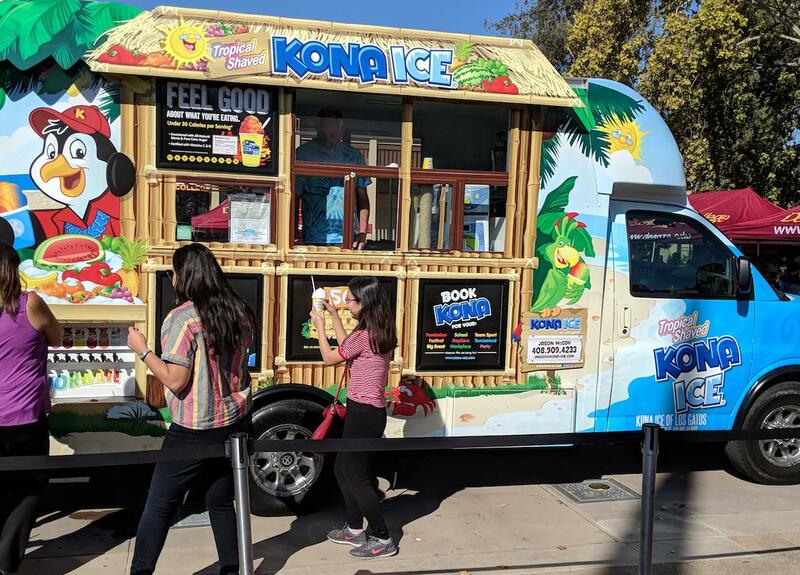 Along with tables and booths on the main quad, more than 30 departments held activities at locations around campus. 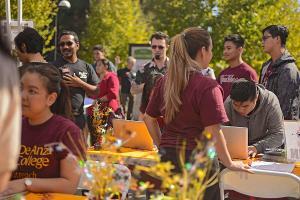 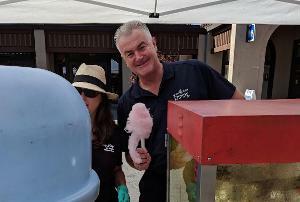 With help from numerous faculty members, staff and administrators, the day was a big success! Attendance was so great, in fact, that organizers decided to expand the prize drawing and give away two iPads, both paid for with donated funds. 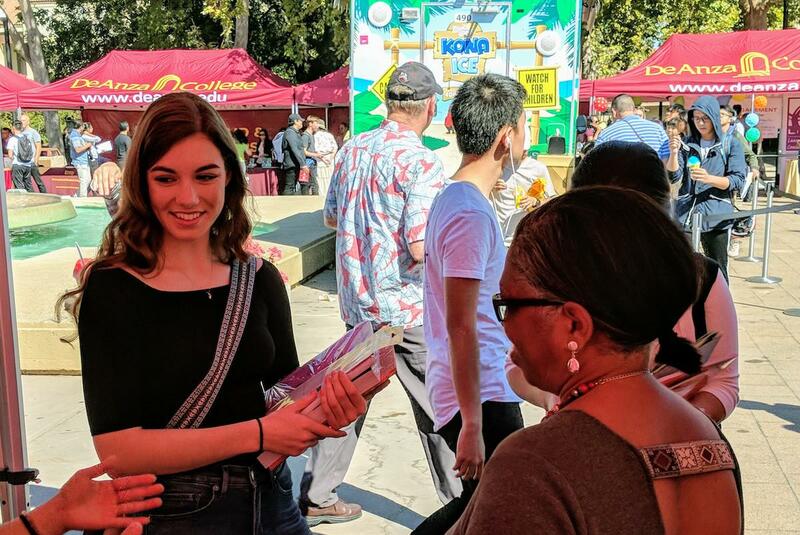 First-year student Claire Murphy, one of the iPad winners, said she wanted to chat with instructors and learn about classes she might want to take as she pursues her interests in economics and communication studies. 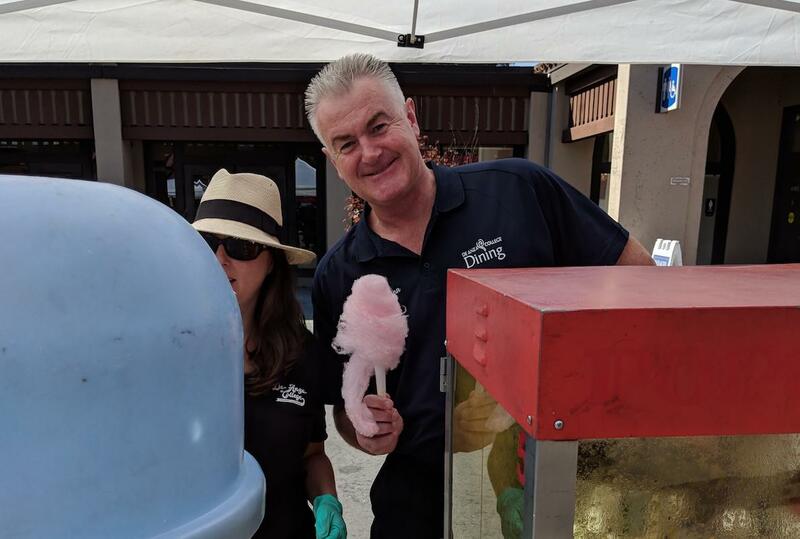 Murphy, who graduated last spring from Del Mar High School in San Jose, is following a family tradition: Her parents both attended De Anza in the 1980s. 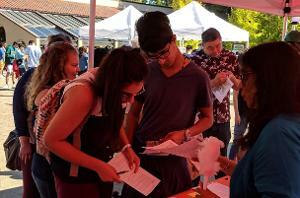 Michelle Diaz-Sandoval, a first-year student from Fremont High School in Sunnyvale, is our second iPad winner. 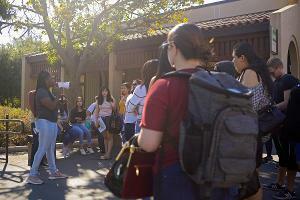 She enjoyed talking with instructors on Friday and also used the opportunity to locate her classrooms ahead of time. 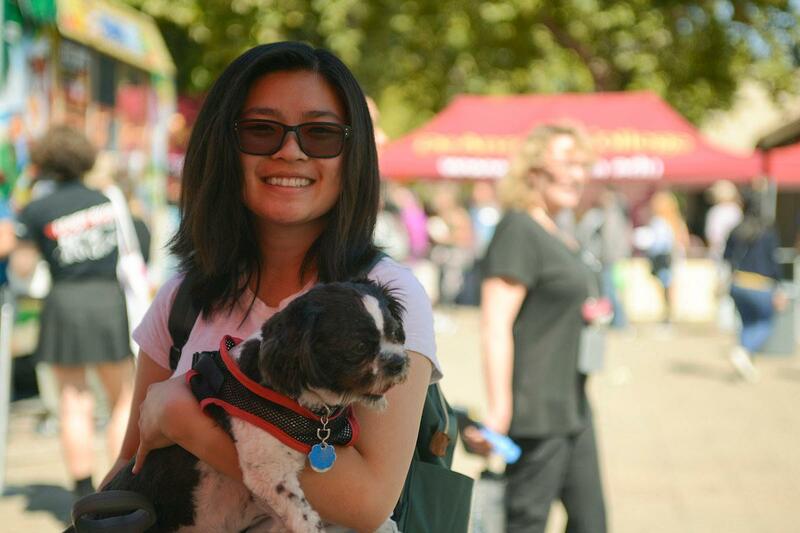 She's interested in studying to eventually become a veterinarian.